Have you ever wanted to travel on a Great Lakes freighter? For a mere $20, you can enter a raffle for a five-day trip, courtesy of a Michigan museum. The raffle, being held by the Icebreaker Mackinaw Maritime Museum, offers a chance to ride this summer on the Wilfred Sykes or another ship in the Central Marine Logistics fleet. The winner gets a trip for two with accommodations in the owner's quarters, staterooms and lounge, and dining at the Captain's table. There's also a tour of the entire ship. "We did a similar raffle two years ago. It was with a different line and the winners had a great time. We were thrilled when Central Marine gifted us with this incredible fundraising opportunity," says Lisa Pallagi, executive director of the museum in Mackinaw City. The museum honors the World War II-era icebreaker that worked the Great Lakes for more than 60 years. The ship is open for public tours. For a taste of a tourist's life on a freighter -- on a trip from Montreal to Minnesota -- check out this story from the New York Times. 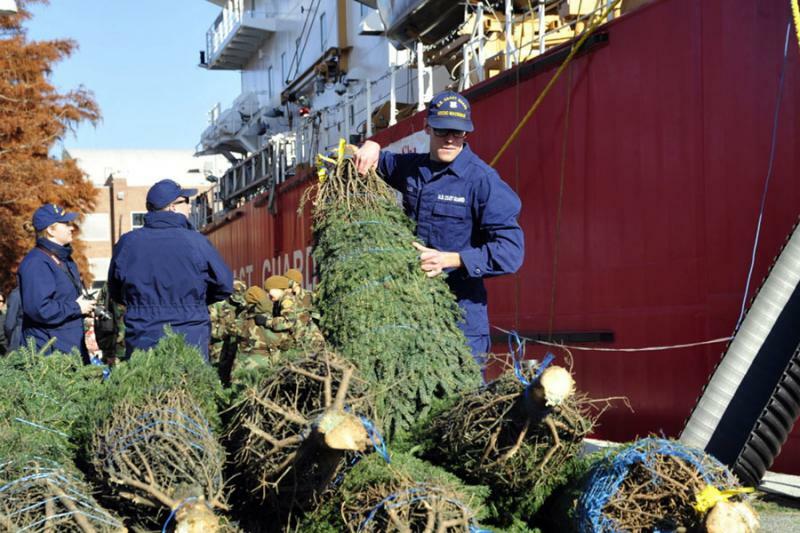 The Christmas spirit is popping up along the waters of the Great Lakes region. In Port Huron, Mich., Santa Claus rode to shore on the Huron Spirit, a boat operated by the Lakes Pilots Association. In Toledo, Ohio, the tug Josephine brought him to the National Museum of the Great Lakes. But the most poignant event of the holiday season was in Chicago, where the sinking of "The Christmas Tree Ship" was remembered recently. 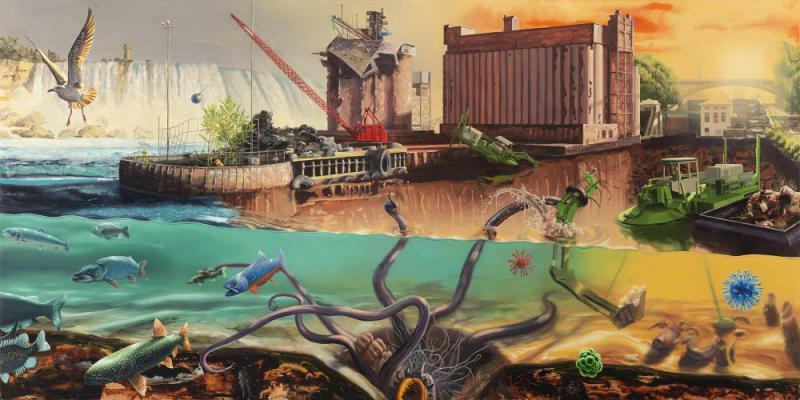 New York artist Alexis Rockman describes his paintings of the Great Lakes as "natural history psychedelia." And just one look at the surreal, mural-size canvases -- bursting with color and energy -- shows why. For the anniversary of the Edmund Fitzgerald's final voyage, mlive has put together an interactive graphic about the doomed freighter. 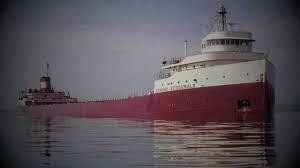 It provides some of the radio chatter that surrounded the freighter as it was pummeled by a powerful storm on Lake Superior.